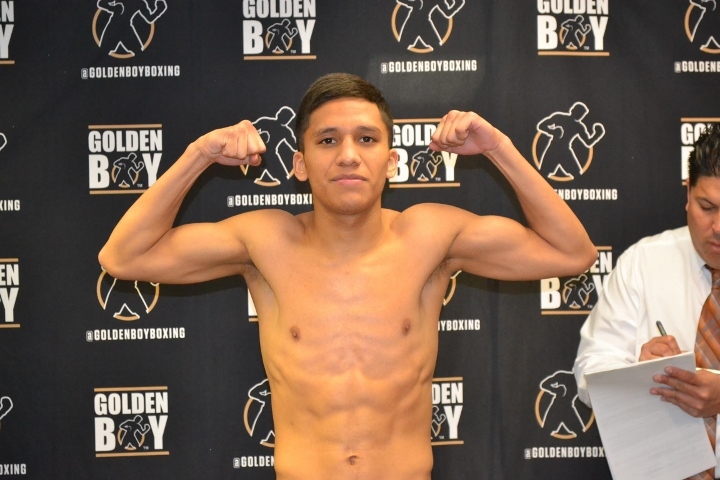 Bantamweight Joshua Franco is surrounded by motivation at The Robert Garcia Boxing Academy in Riverside, California, where he shares trainer Robert Garcia with champions Abner Mares and Jose Ramirez as well as title challenger Josesito Lopez. Lopez, Mares and Ramirez have title bouts fights in early 2019, with Mares and Ramirez fighting back-to-back on February 9th and 10th in Carson, and, Fresno, California, respectively. On January 26, Lopez (36-7-1, 19 KOs) takes on WBA “super” welterweight champion Keith “One Time” Thurman (28-0, 22 KOs) at Barclays Center in Brooklyn, New York, as Premiere Boxing Champions returns to FOX (8 p.m. ET/ 5 p.m. PT.). In Carson, three-division champion Abner Mares (31-1-1, 15 KOs) rises from 126 for his 130-pound debut against left-handed WBA “super” junior featherweight Gervonta Davis (20-0, 19 KOs) live on Showtime from The StufHub Center, and, in Fresno, Jose Ramirez (23-0, 16 KOs) defends his WBA 140-pound title against southpaw Jose Zepada (30-1, 25 KOs) at The Save Mart Arena. The revenge factor further incentivizes Franco (14-1,7 KOs) entering his January 26 return bout with Argentina’s Lucas Fernandez (12-2-1, 9 KOs), whom he’ll fight on the DAZN undercard of a WBA 154-pound title defense by Jamie Mungia (31-0, 26 KOs) against Takeshi Inoue (13-0-1, 7 KOs) at the Toyota Center in Houston. Before being stopped in the ninth round, Franco had dropped Fernandez in the first round, led by seven and five points on two judges cards and trailed on the third. “I was winning the fight, but in the ninth round, I got careless, dropped my right hand and he caught me with a good shot. That buzzed me a little bit and then the referee stopped it, but thought it was a little bit too quick because I was good and fine and could have continued,” said Franco. Franco is 1-1-1 in his past three fights, rebounding from Fernandez with a fifth-round KO of Isao Gonzalo Carranza in June and battling to a draw in October with Oscar Negrete, who was two bouts removed from a title-bound unanimous decision loss to unbeaten WBC champion Rey Vargas (32-0, 22 KOs) in December 2017. The 27-year-old Fernandez followed his win over Franco with a unanimous decision loss to southpaw Gideon Buthelezi in his last fight in July.